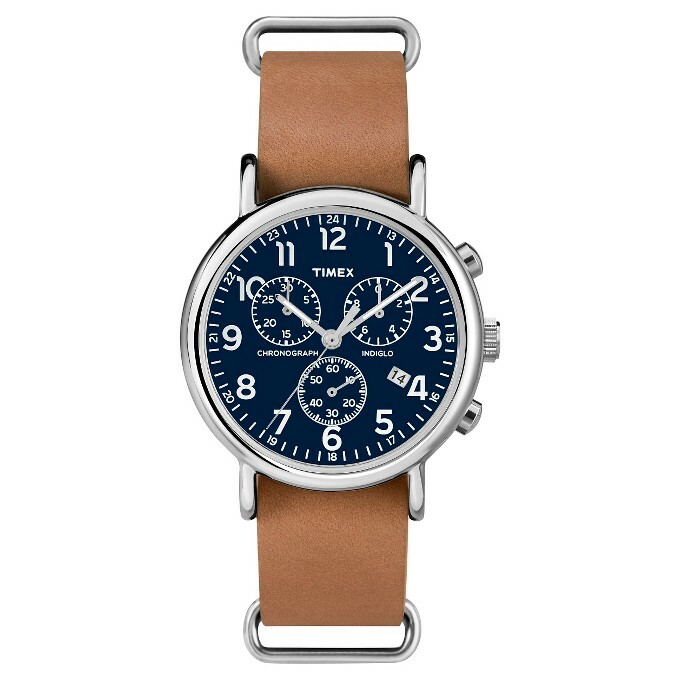 The impressively sized, feature-packed Timex Weekender Chrono Oversized Wristwatch comes loaded with features for an analog watch, including a chronograph that measures up to 1/20th second plus an auto shut-off to preserve your battery. Handsome analog watch face includes a date function and an INDIGLO nightlight with NIGHT-MODE, where pressing any button illuminates the dial for 2-3 seconds. An ideal everyday watch with 30M water resistance and leather slip-thru wristband.